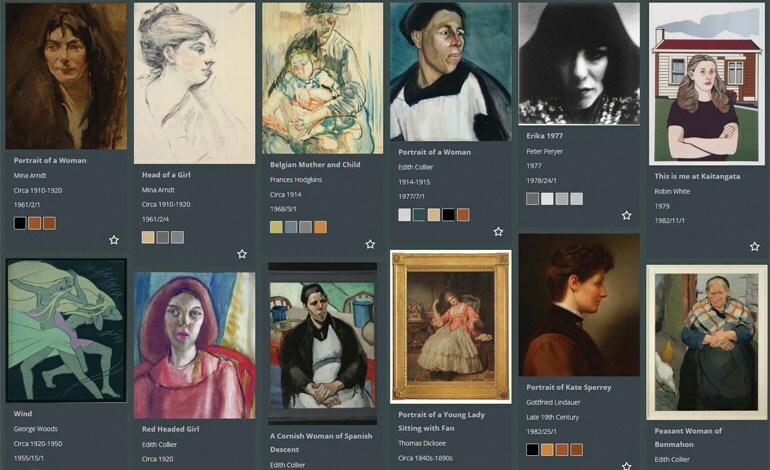 Sarjeant Gallery online: Visitors can search for paintings by colour. 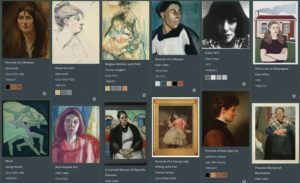 A prize-winning collection portal such as Explore the Collection is the dream of every collecting institution in the world, but it’s not easy to achieve as every item in the collection needs to be catalogued in detail and photographed in a particular way. In 2014 the Sarjeant collection had to be moved out of the purpose-built Sarjeant Gallery at Pukenamu Queen’s Park due to the declining state of the almost 100-year-old building. The storage conditions for the collection had been causing concern for some years and ultimately the decision was made to close the doors to the public when a chunk of ceiling masonry crashed to the ground, slightly grazing a marble bust of the gallery’s founding father, Henry Sarjeant. While ensuring the safekeeping of the artworks, the move made it possible to carry out a complete audit of the collection. As the transition assistants moved each piece to Sarjeant on the Quay, they inspected and catalogued every single item – a process previously never completed in its entirety. A collection such as the Sarjeant’s is rarely totally decanted and audited on such a scale, so the move was a unique opportunity to capture accurate and detailed information on each and every item. As a direct result of this audit, Explore the Collection was launched and the Sarjeant Collection can now be viewed and explored online by anyone. Explore the Collection is leading the way in making collections digitally accessible in New Zealand. In April 2018, Taylor Moore and Vernon Systems were invited to present a paper about Explore the Collection at the North American Museums and the Web conference in Vancouver. The latest development to be added to Explore the Collection is the Sarjeant Mosaic, which allows visitors to see images of the entire collection on one single screen – from which the viewer can select a work to view in more detail. The arrangement of the image thumbnails can be sorted either by the artist’s surname or the date of work, producing some stunning visual patterns and effects across the screen. It is available via the Sarjeant website, and by clicking on Explore the Collection. The Sarjeant can boast of having one of the country’s most advanced digital collection portals.